What should parents do if the child does not eat? To adolescence, some parents are not faced with a term such as lack of appetite in the child, but upon the occurrence of a 13-14 years old teen suddenly changes their eating habits and stubbornly refuses to eat. How to increase appetite in teenagers, answered by experts and nutritionists. Can a teenager to go on a diet? Find out what caused sudden loss of appetite of your younger son or daughter. Perhaps this is because daughter unexpectedly fell in love and now saves figure, and the son thought he was too fat and that is why he decided to lose weight. That is, first and foremost, take care of the psychological state of the child, see if he needs the help of a child psychologist, your parent's understanding. Eliminate the possibility of diseases such as disruption of the digestive tract, pancreas. Learn whether the normal endocrine system of the body, not does teen stress, nervous tension. And then proceed to the next methods improve appetite. Enter in the child's diet vitamin compounds or dietary Supplements containing zinc. Lack of zinc in the body disrupts the taste, smell, reduces appetite. When normalizing the amount of zinc in the body appetite will recover within 1-2 months of treatment. Also increase appetite vitamin preparations in capsules containing citric and succinic acids. Try to ensure that adolescent physical activity after school. Write it in the sports section, swimming lessons, the more you walk with him, walk in the fresh air. If he loves animals, buy him a large dog that he had walked every day twice. Remember that a sedentary lifestyle reduces appetite in children. Beautifully served meals, make them colorful, decorate beautiful, was interesting to the child to eat. Do not punish on uneaten food, reluctance to eat. Do not force baby to eat if he doesn't want it, but try not to let him snack on the go fast food with a coke. Do not keep in the house unwholesome foods and drinks that Deplete your appetite, like frankfurters, sausages, chips, soda, candy, cookies, cakes. Many parents noticed that the school summer camps, children have always a good appetite. This is achieved not only increased physical activity of children, but also the regime under which adjusted to the whole camp. You enter a specific mode in your house, in which the time for rest, food, a walk, studies will be distributed hourly. Make sure that the child strictly adhered to the established parents mode. During breastfeeding a woman does not see exactly how many ate her baby, so special feelings about food do not arise. But as soon as it comes to the introduction of complementary foods, the mother begins to consider not doedu Chad tablespoons and grams of food remaining on the plate, which will undoubtedly escalate the situation and not the best way affects the mood of mothers and the appetite of the baby. 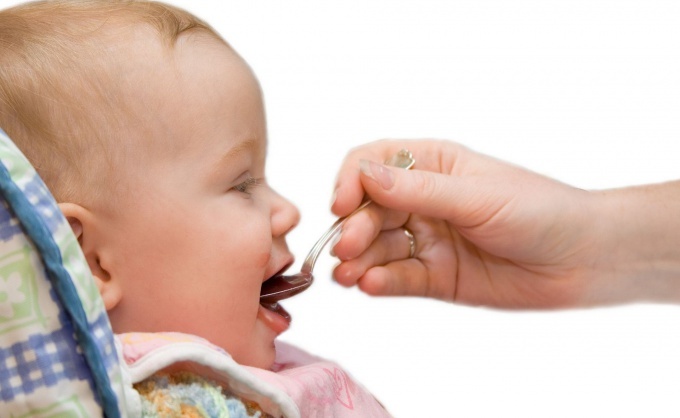 The reasons for the refusal of the baby food may be its novelty, sharp color or odor, etc. However if the child for extended periods of time, refuses to eat, you should tell the doctor about this, perhaps it is a signal about presence of any disease.Remember, appetite is an important indicator of the health status of the baby. Reduce appetite also overwork, overheating, emotional stress, etc. The first step is to calm down and not panic about the fact that your baby eats a little. Eaten today grams, with a surplus to be typed tomorrow, at the end of the day, appetite adult also changing day by day. Medical standards child under years should consume per day food in the amount of 1/10 of its weight. Enough eats your baby, you can calculate by the formula: the number of receptions of food * amount of food per feeding = 1/10 weight of the crumbs. To increase the appetite of the kid under the year, you need to strictly follow the rules of introduction of complementary foods.Start the introduction of a new product with ½ teaspoon and gradually increasing the amount of portions. The number of vegetable foods at the age of 7-8 months – 80 g, 9-12 months - 120 grams.At a time introduce one thing, moving gradually on the combination products. The introduction of a new food should be postponed in case of illness of a baby, during the period of vaccination, climate change and other adverse factors.Monitoring response to new products is carried out within 7-10 days, at this time, watching the leather chair and the General feeling remains.If the baby does not respond well to solid foods, you should give it time and consult with a doctor.Starting solid foods with vegetables at the age of 4.5 months, if the baby is on mixed feeding; 6 masazni – for those who breastfed. After the introduction of vegetables you can get started with fruit, and from 8 months – meat. Now pediatricians recommend introducing egg into the lure closer to a year. closer to the year when the child has grown up and is actively involved in the communication process, eat with him what he eats, and show how you good. Appetite is a delicate matter, but in order to maintain focus on the utility, not the amount eaten. Independently prepared from natural products food is healthy and nutritious. It provides the body with energy long enough. If the baby refuses vegetables, you can mix a vegetable puree with breast milk, formula or fruit purée, or add a drop of olive oil.